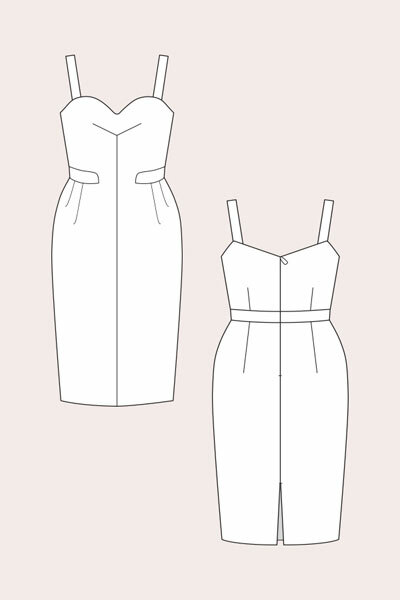 The Florence is a knee-length lined dress with fitted top and a tulip skirt. It features an interesting Y-shaped bust dart at front and belt detail and four pleats at the waist. 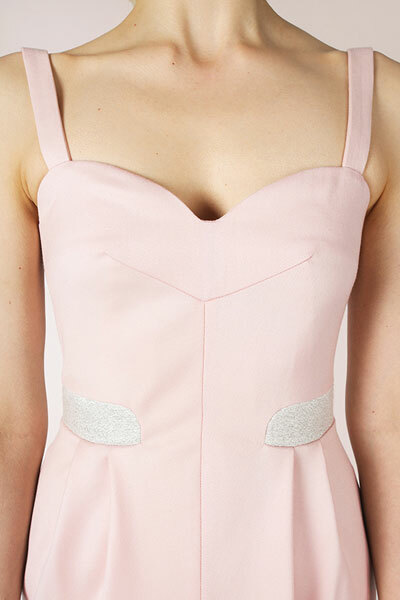 The dress also has thin shoulder straps and a sweetheart neckline. It closes with an invisible zipper. Choose medium weight, firm and inelastic fabric, such as a wool blend. 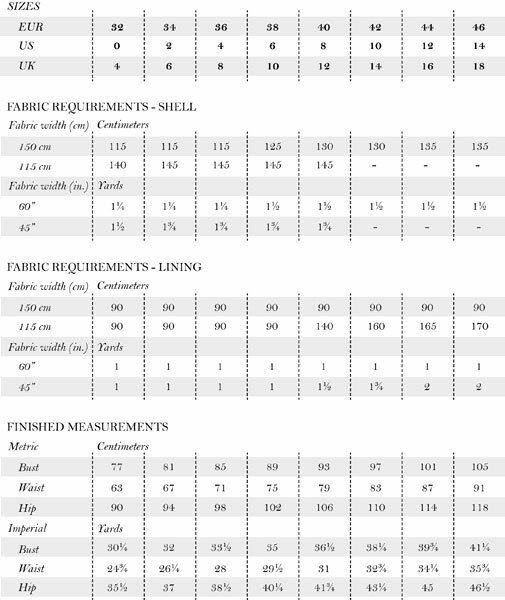 Fusible interfacing: 55 cm / 22"
Clear elastic: 45 - 65 cm / 18 - 26"